Dr. Gerald “Jerry” J. Wilmink is the Founder and Chief Executive Officer of WiseWear® Corporation, a Texas-based digital health company that develops next generation wearable technology products for fitness and medical applications. Jerry is a passionate, high octane PhD-turned-entrepreneur that gets things done and never gives up. 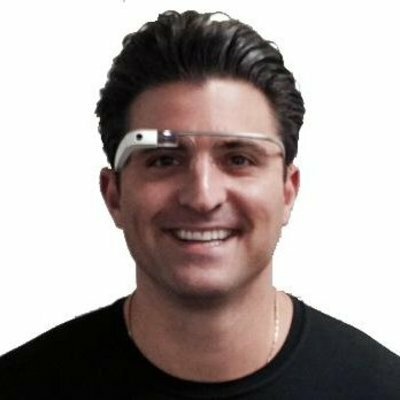 Fueled by inspiration, workouts, and daily shots of espresso--Jerry founded WiseWear Corporation with the goal of developing wearable technologies that empower people to live happy, healthy & productive lives. Jerry has experience as a mad scientist, inventor, start-up business consultant for Venture Capital firms, and a program manager for the Department of Defense’s $2 Billion Small Business Innovation Research (SBIR) program. Dr. Wilmink earned a BS, MS, and PhD in Biomedical Engineering at Vanderbilt University, and an MBA from McCombs School of Business, University of Texas at Austin. Jerry served as a research associate with the National Academy of Sciences, and during this tenure he founded the first Terahertz sensing and bioeffects research lab in the Department of Defense. He has penned several patents, published 55 manuscripts, book chapters, and review articles, and has delivered over 75 invited, keynote, or plenary presentations at conferences including TEDMED, SXSW, and SPIE. In 2015, Jerry was selected for San Antonio's 40 Under 40 award and was invited for membership to the Young Entrepreneur Council (YEC), named by Forbes as America's most elite entrepreneur organization. Jerry is a Founding Member of a VISTAGE Key group, serves as an advisor for several startup companies, and as a mentor for 3 Day Startup and Techstars, the #1 startup accelerator in the world. Jerry is a Fellow and serves on the Board of Directors for the American Society for Laser Medicine and Surgery. Jerry also is an advisor and panel review member for our country’s National Academy of Sciences NRC, NSFGRFP, SMART, and NDSEG Programs.